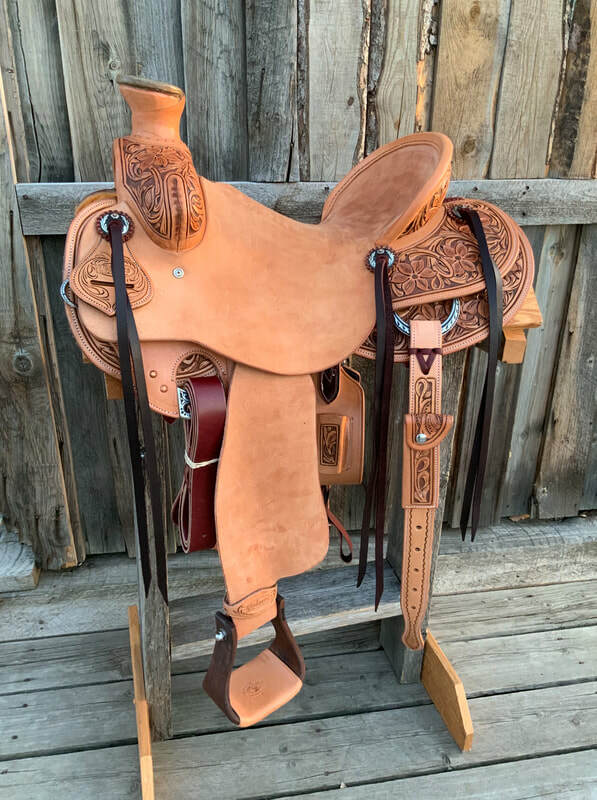 ​These WOODY'S CUSTOM COWBOY saddles have an unbelievably comfortable seat. Will James tree. Forward hung fender and Nettles bell stirrups. Plate Rigging. 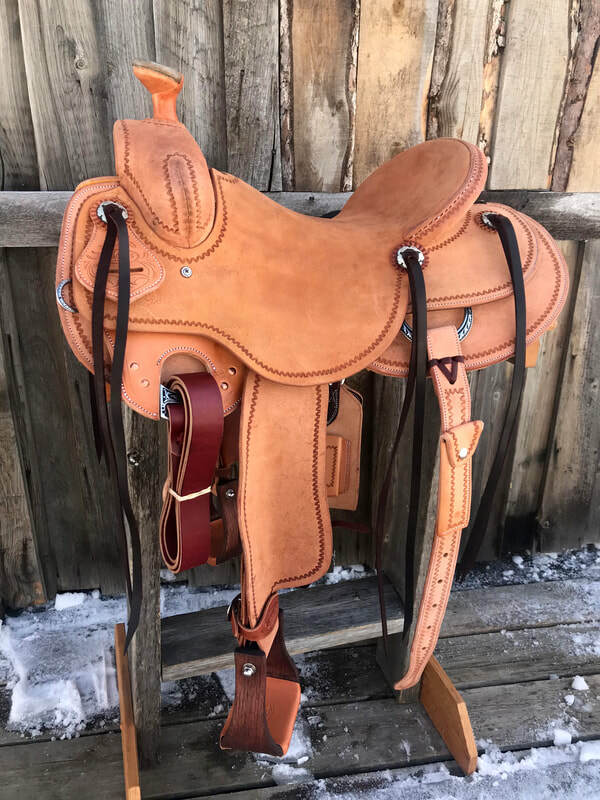 10 year tree warranty, Hermann Oak leather and real sheepskin lining.